'Stop trying to convert us into cultivators and let us be!' is the plea being issued by Veddah patriarch Tissahamy and tribal leaders including Kalu Appu and Sudu Bandiya. Their gentle tribal culture, long under assault from all sides, now faces its final extinction in the face of relentless pressure from outside communities, says the Cultural Survival Trust of Sri Lanka. Underlinging their collective determination to preserve what remains of their age-old culture and livelihood, a number of Veddah families who were resettled in Goverment colonites in Mahaweli Development Scheme Zone 'C' in 1983 have announced their intention of quitting colony life and returning en masse to their remote villages now being adminstered by the Wildlife Department. They plan to time their symbolic move to correspond with this coming Vesakh, high holiday of the majority Buddhist community during the middle of May. In 1983 under the accelerated Mahaweli Development Scheme, several Veddah families including those of Kalu Appu and Sudu Bandiya were induced by Government authorities to abandon their traditional forest settlement in the Dambana region and to move onto goverment colonies. Now after years of experience with colony life, many Veddahs are deeply dissatisfied and resentful of officialdom's unkept promises and continuing open hostility towards the Veddahs who are distinctively different from other peoples of the island. According to patriarch Tissahamy, the right to manage the forest of Lanka was given to the Veddahs long ago by god Saman himself, adding that for thousands of years the Veddahs preserved the forest environments very well with no need for bureaucratic interference. Surely, he says, the Veddah people have proven themselves to be the forest's best friends and protectors in stark contrast to officials who, he alleges, have systematically exploited the forests that they took away from the Veddahs. Conceding that they were mistaken in leaving their forest homes, Veddah leaders Kalu Appu and Sudu Bandiya have given announcement of their intention to lead their people back to the Dambana region starting on 14th May. After re-uniting with patriarch Tissahamy they plan to celebrate with an all-night thovil ceremony. About twenty Veddah families are involved in the move, while many others are watching to see if they also should return to the old life. The ancestral hunting grounds around Dambana that were taken over under the Maheweli scheme have been turned into a wildlife sanctuary where chena cultivation and hunting are now prohibited. That area was once home to four Veddah hamlets consisting of 150 familes. Since 1974 successive Governments have promised to alienate 1,500 acres for the affected Veddah community, but to date the promise still has not been hnoured. Even this amount of promised land, say Veddah leaders, is insufficient to support the number of Veddah families who wish to live upon it through hunting, honey-gathering and chena cultivation. 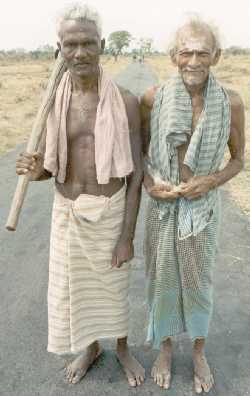 Veddah people, they say, are unsuited to paddy cultivation or irrigation. President Premadasa, taking a personal interest in the welfare of Sri Lanka's indigenous Veddah population, has ordered the establishment of a Veddah Wannietto Trust for the protection of the Veddahs and their culture, which long predates that of the dominant communities. However, both Veddahs and concerned NGOs like Cultural Survival have complained of bureaucratic foot-dragging that has left the Veddahs in an ever-deepening dilemma that calls for quick and decisive action. The dire plight of Sri Lanka's declining Veddah population, however, is not likely to pass without coming to international notice. Recently the United Nations proclaimed 1993 as the Year for the World's Indigenous Peoples. But already many regional and world bodies have begun to draw public attention to the exploitation of the world's indigenous peoples who are especially vulnerable to modern economic predators. The stubborn refusal of the Veddahs to be colonized and assimulated into modern society has left officials puzzled and confused, while the Veddahs themselves are equally uncertain of what to expect from the Government after so many years of unfulfilled promises. 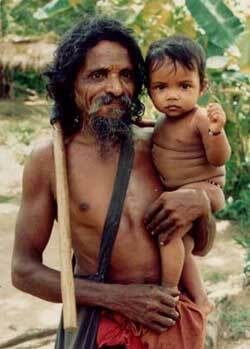 Yet despite the risks, the simple Veddah folk have served notice that they will not die out easily or quietly. The drama of their survival is not yet finished.